Summer’s officially here and we have been invited take part in Asda’s latest campaign, #SaveSummer, to keep little entertained over the summer holidays. Asda have thought of a fabulous list of wild and wonderful activities that are sure to get you in the summer mood. 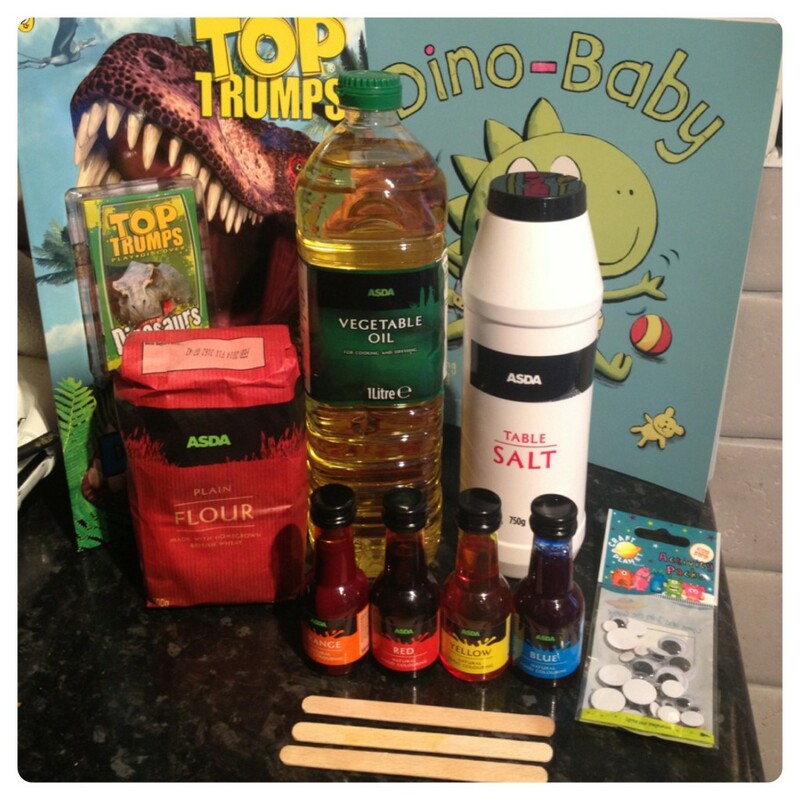 All the ingredients for the activities can be ordered at http://groceries.asda.com/. Sadly this is the last week of #SaveSummer and they have saved the best activity to last! So far we have done Week 1: Grow Green Hair, Week 2: Angry Water Birds, Week 3: Ice Cream Burgers, Week 4: Onesies Movie Marathon, Week 5: Build Solar System, Week 6: Jungle Breakfast. Little man is loving the #SaveSummer activities! 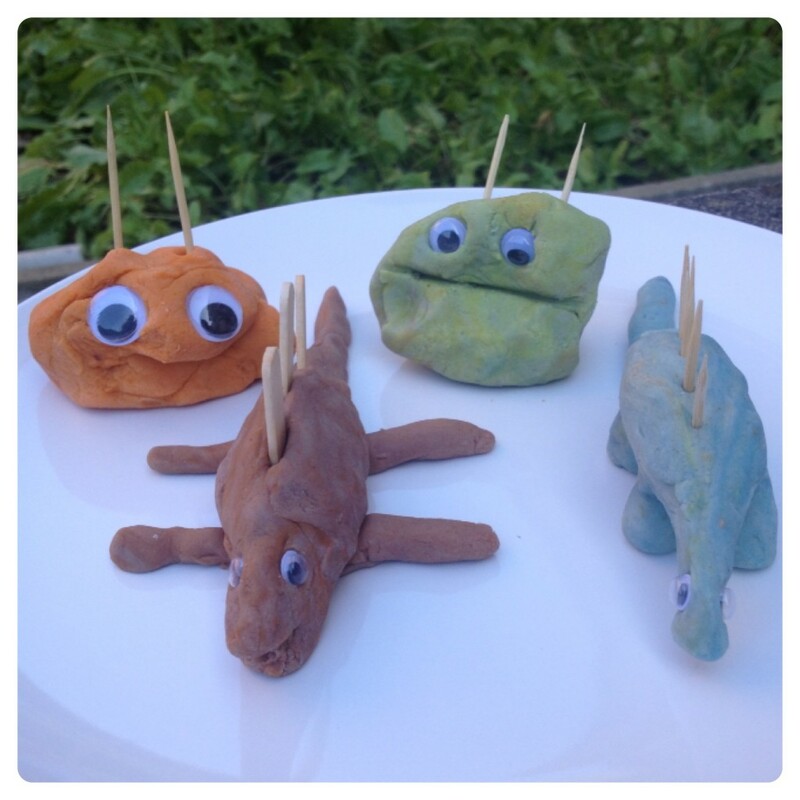 Return of the Dinosaurs – Dig out your palaeontology gear because today we’re making dinosaurs! Mix a mug of flour and a third of a mug of salt, then slowly pour in half a mug of warm water and a few little spoons of vegetable oil. 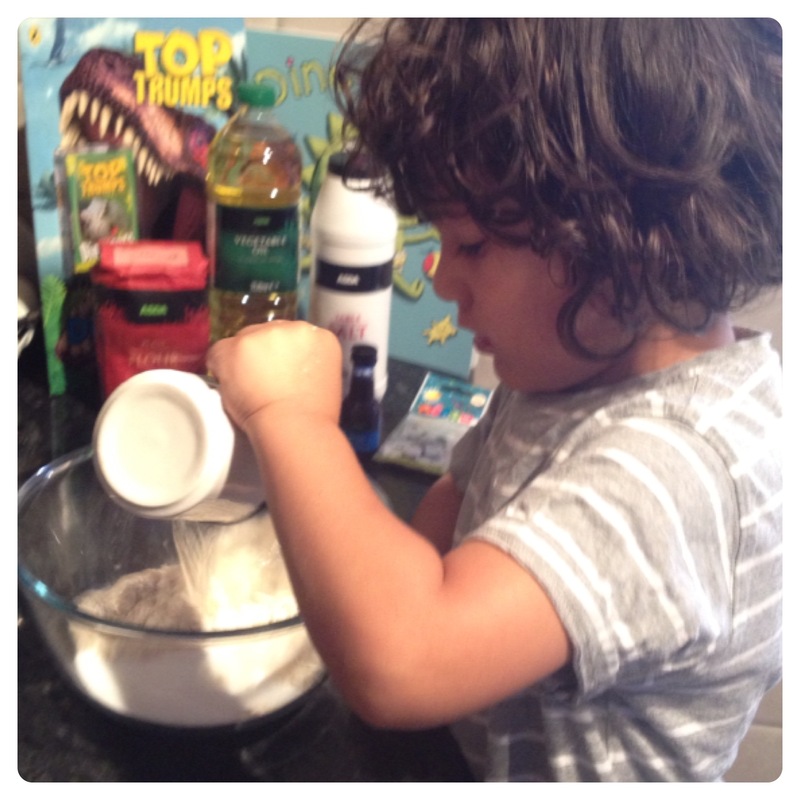 With the strength of a Stegosaurus, knead the dough until smooth. Separate the dough and add in a few drops of colour to each piece. 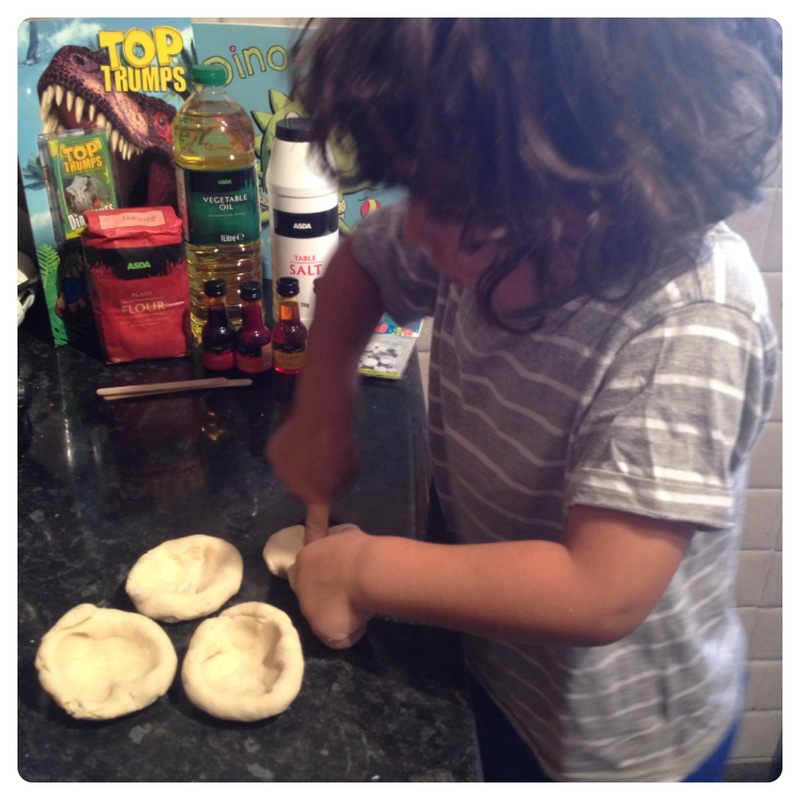 Then knead again. If you haven’t seen a dinosaur close before, have a look at what other people have made by searching #SaveSummer. Inspire other families by sharing your Jurassic creatures with the #SaveSummer hashtag. 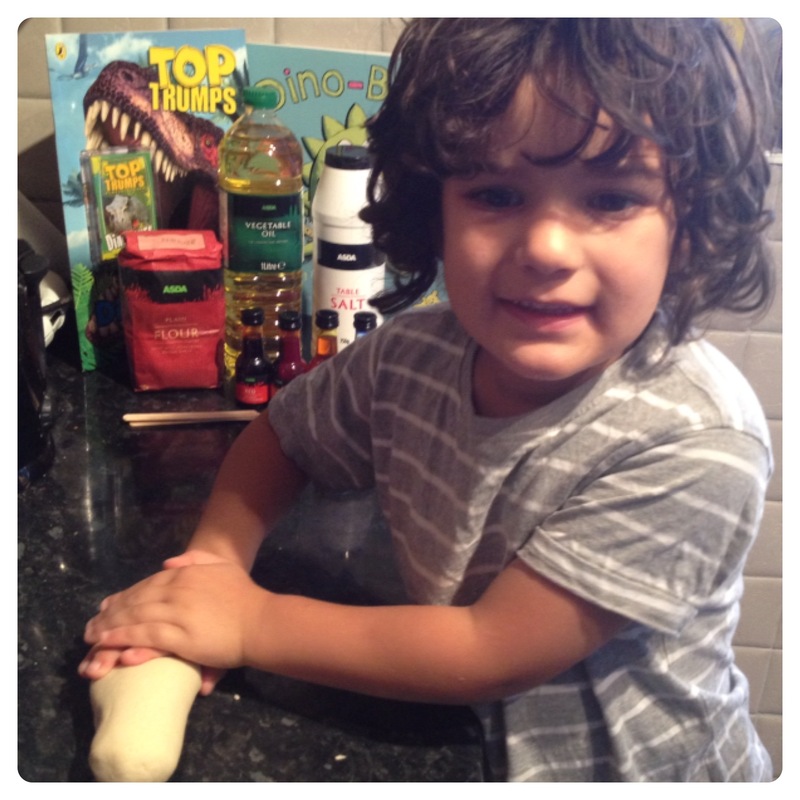 Little man had a great time making play-doh, then choosing the colours he wanted for his dinosaurs. We made little holes in the play-doh and shaped it like a basket before pouring a few drops of food colouring. Little man wanted to make purple, so we mixed red and blue. He also wanted to make green, so we mixed blue and yellow. 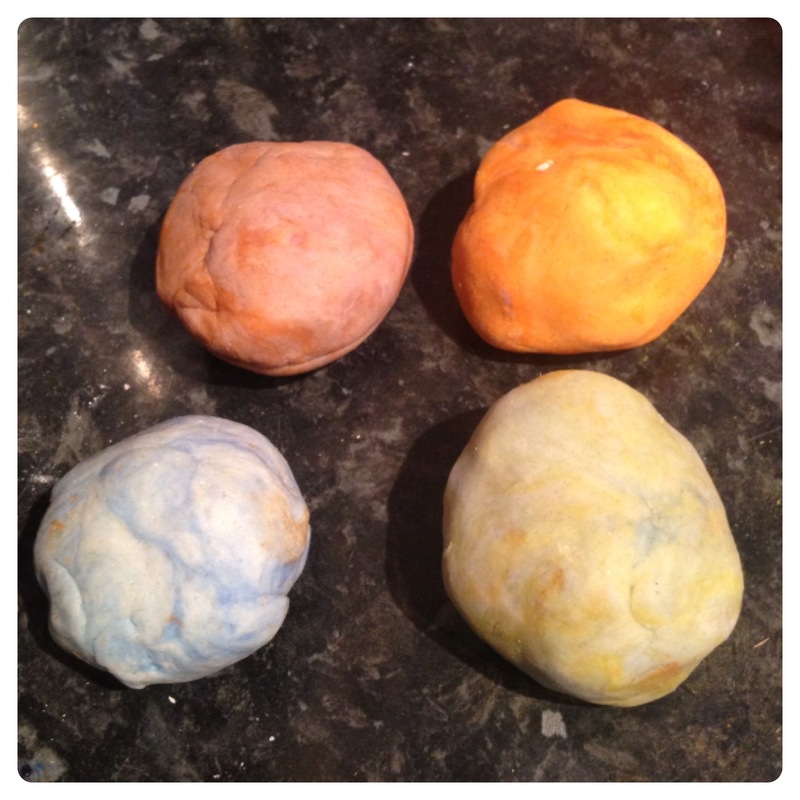 We ended up with four colours, which looked like dinosaur eggs. 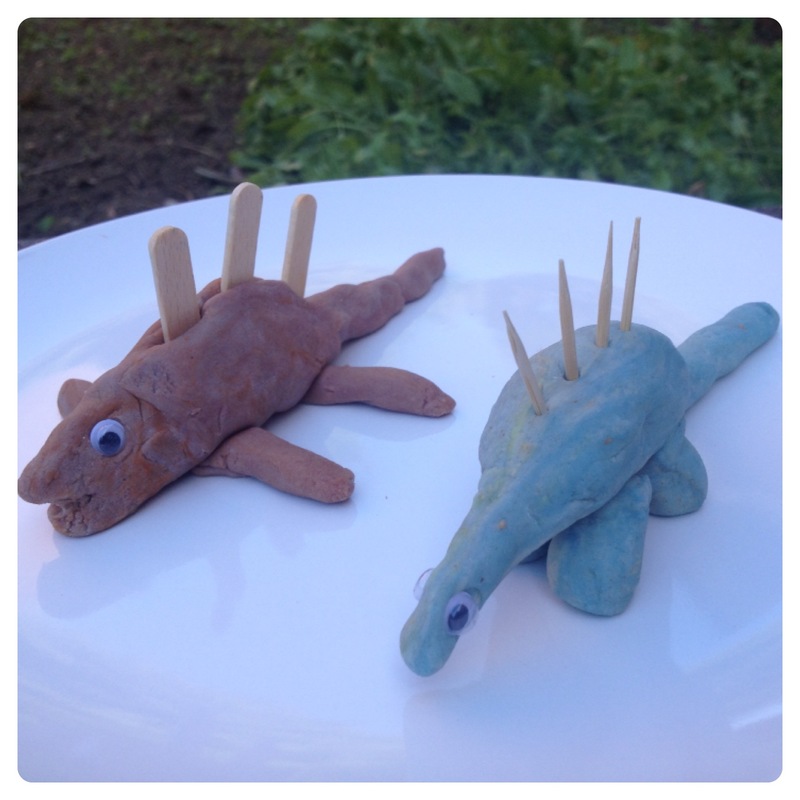 We used the Prehistoric Scene sheet (found at http://assets.asda.com/media/pdfs/PDF_Prehistoric-scene_1.pdf) as inspiration to make a Toothpicksaurus and Lollysticksaurus. 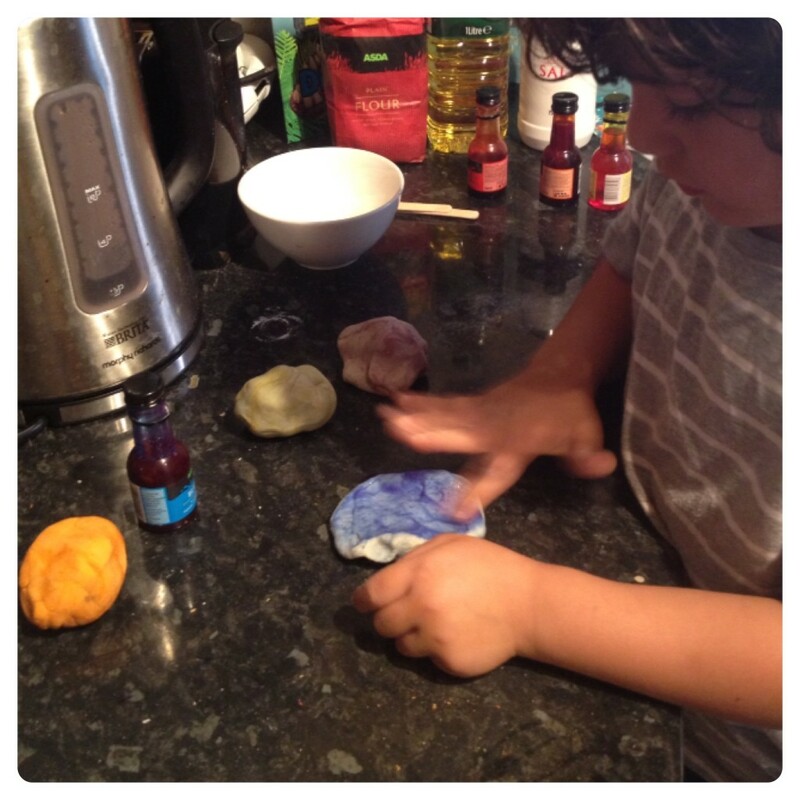 We’ve never made play-doh before, we usually buy it ready, but it was simple and straightforward following the recipe above. We will definitely be making it again! I was invited to take part in the #SaveSummer campaign and the materials were provided. However the opinions expressed in this review are honest and my own. 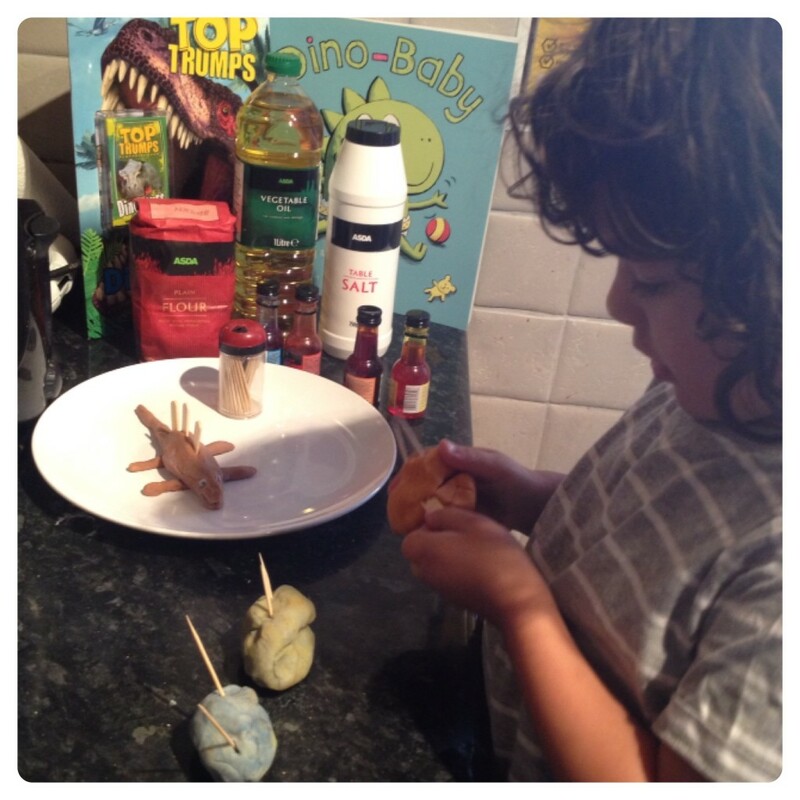 5 Responses to "Summer Holiday Activities with Asda: Play-doh Dinosaurs #SaveSummer"
I can’t believe I never heard of this before! Came through Facebook and Asda to get to you too! Will go pin.